Welcome to Savorbang, our regular recipe column from local teacher and stand-up comedian Sarah Whitmore. 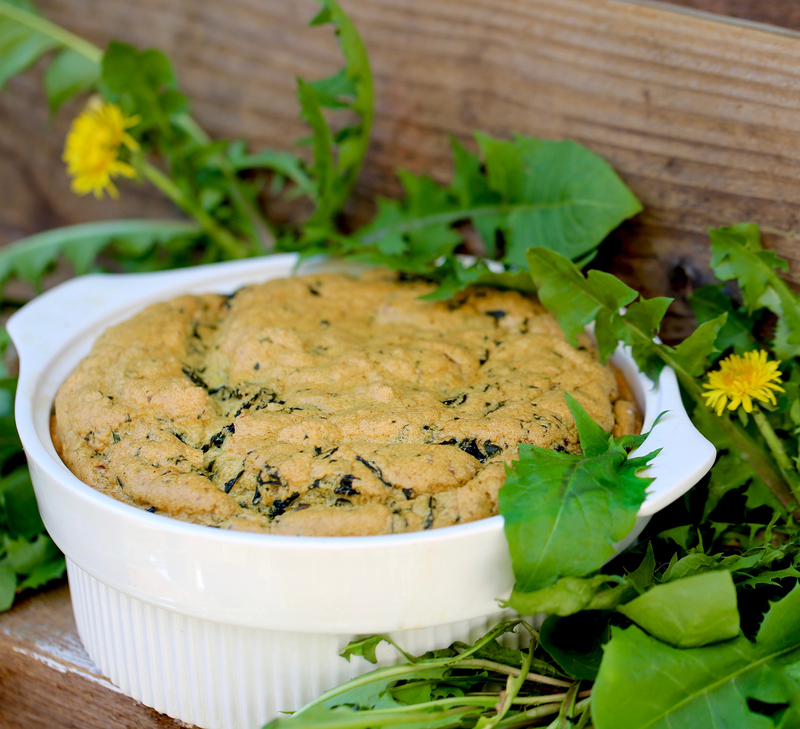 In this installment, Sarah puts a fresh spin on an old favorite: dandelion soufflé. Raise your hands. How many Sonoma County soccer parents have received an email like this from your child’s Team Nourishment Facilitator a.k.a. snack organizer? It‛s your turn to provide sustenance for our amazing team of radiant, empathetic, love-warriors—GO INTELLIGENT HEARTS!! Make sure to arrive at the field 75 minutes prior to practice start time, so your non- GMO snack can come to ambient temperature. Snack must be free of the following: gluten, eggs, dairy, flavor, capitalism, the patriarchy, and nuts. All team cuisine must be local (preferably originally sourced within 1.5 mile s of playing field), certified organic per Oregon Tilth regulations, pre-1996—NO SAFEWAY ORGANICS! Thank you for inviting us to the party! Our blessed child, Jessingka, would be delighted to attend your daughter‛s birthday—however—he has a few requests: That the birthday cake and other fare be locally sourced, cruelty-free, and organic—obviously Oregon tilth pre-1996 standards. Jessingka also requests your family (and any other guests) take a look at—and master—our family‛s six mealtime blessing songs with accompanying hand gestures (see attached documents and YouTube clips). It would mean so much to us if you could share in our mealtime routine s at your celebration. We look forward to your reply confirming compliance with our heartfelt attendance requirements. Snail mail only, please—NOT AN EMAIL FAMILY!!!! Are you tired of other kid’s parents regarding your platter of grocery-chain organic cheese sticks as if they were coated in Russian nerve agent? Take control of the situation. Forge your Organic AF parenting reputation by bringing the most local culinary masterpiece to the party. This souffle dish is super yummy and easy to make. It fluffs up impressively while cooking, but don’t panic if your souffle souf-flops; it will still be a heavenly, casserole-ish frittata. Be sure to use only unsprayed dandelion greens—don’t just go plucking them out of soccer fields. Get fresh dandelion greens at the farmers’ market, Oliver’s Market (where I got mine), or dig some out of your backyard: first check to see if you have outdoor pets. Saute chopped onions and bacon until brown and soft—about five minutes. Add butter and garlic, cook until soft and translucent—about three minutes. Add greens and cook down, uncovered, until very soft—about eight minutes. Remove pan from stove to cool. Separate five eggs. Reserve five egg whites in a big bowl. Place three egg yolks in medium bowl. Add ¾ cup milk to egg yolks. Whisk together. Sift or whisk together in small bowl ¼ cup flour and ½ teaspoon baking soda. Whip egg whites and ½ teaspoon cream of tartar until peaks form. Whisk flour mix into yolk mixture. Stir yolk mixture into dandelion mix. Gently fold beaten egg whites into dandelion mixture. Bake about 24 minutes at 400 degrees. Souffle is done when light brown and medium-firm.